Oyster is an incredibly handy plastic smartcard you can use instead of paper tickets. You can put Travelcards, Bus & Tram season tickets and pay as you go credit on it. Oyster is the cheapest way to pay for single journeys on a bus, tube, tram DLR, London Overground and National rail services in London. Travel cards can also be purchased for it and you can get your Oyster registered and protected in case of loss or theft. An Oyster card costs £5, if you return your Oyster card to a top up machine in a Tube station at the end of your stay the £5 is refundable. You can buy a regular Oyster card from any newsagent that provides Oyster services or use the touch screen ticket machines at any tube and London Overground station or selected DLR and National Rail Stations, or at the ticket office at any tube of London Overground station and selected National Rail stations. It can also be topped up at all of the above places if need be. To get in and out of a station you will need to touch your Oyster card on the yellow card reader. You must do this to make sure you have a complete journey and avoid being charged the full travel card amount. When taking a bus you only need to touch once when you hop on. Busses are now cashless so you will need to have your Oyster card handy. If you make lots of Pay as you go trips in one day you will never pay more than the price of an equivalent Day Travel card – Horray! If you think you have been overcharged for a journey you can look up your oyster journey history online (you will need to register your Oyster card online to do this) and see what you have been charged. Give the number on the back of your card a call – the Tfl staff are always happy to help. Two bus or tram journeys for the price of one – brilliant! Make a journey using pay as you go (contactless or Oyster) on a bus or tram, and you can make a second bus or tram journey for free within one hour of touching in on the first bus or tram. … The free fare will then be applied automatically. To protect your Oyster card you will need to register it online. Protecting your Oyster card is a great idea as it means no one can use your cards credit, Travelcards or Bus & Tram passes once you’ve reported it lost of stolen. You may also be eligible for a refund or replacement for the remaining pay as you go credit. If you want to buy monthly or longer period Travelcards or Bus & Tram passes on your Oyster card you will need to register it too. 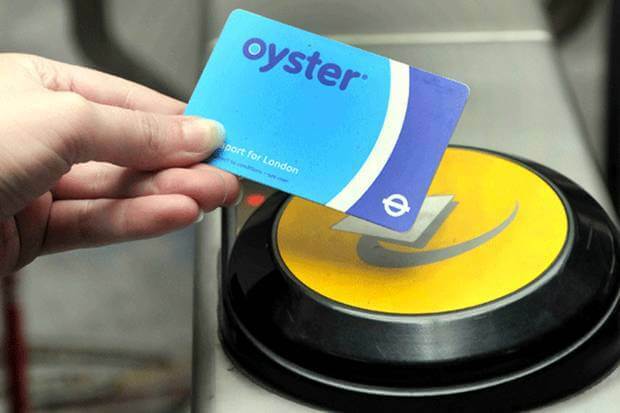 or pick up and complete an Oyster registration form at your local Oyster Ticket stop, Tube or London Overground station, selected National Rail stations or a Travel Information Centre. you must take your Oyster card with you. The 18+ Student photocard offers eligible students a 30% discount off season tickets for travel around London, and only costs £20. This discount only applies to weekly and monthly tickets, not Pay as you go. If you are going to be using weekly/monthly travel cards then the 18+ student Oyster card is definitely worth it. We have mapped out the savings you will make below, but in zones 1&2 you will save £10 per weekly travel card and £40 per monthly, pretty good stuff! If you have any queries re your application should be made directly to Tfl. Oyster cards will be delivered within 2 weeks of being applied for if the applicant has provided all and correct details and are eligible. Remember The world is your Oyster (Card! )…!